The City of Gridley is a Northern California municipality in picturesque Butte County. Gridley reigns supreme as one of the few cities powered 100% by solar energy. 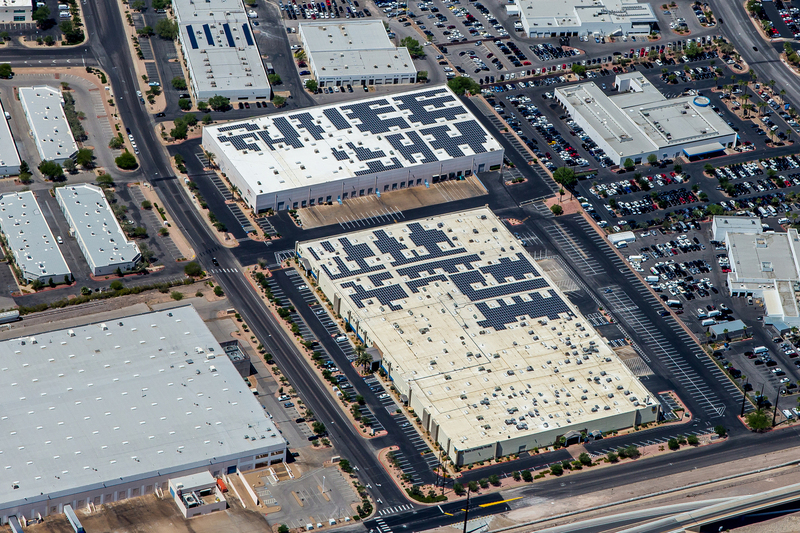 The City pursued solar energy to reduce electricity costs and demonstrate energy independence in its community. The City of Gridley is a Northern California municipality in picturesque Butte County. Gridley reigns supreme as one of the few cities in the world powered 100% by solar energy. The City pursued solar energy to reduce electricity costs and demonstrate energy independence in its community. Because of the City of Gridley is a municipality, they could not use federal Investment Tax Credits and accelerated depreciation benefits which were required to make the project financially viable. Stokes developed a financial and technical solution to ultimately set the project in motion. The completed system is comprised of a 407kW net metered distributed generation ground mount solar photovoltaic system. The solar modules are mounted on a fixed-tilt mounting system above flood zone areas. The solar facility provides 100% of the annual energy used by the adjacent waste water treatment facility. Touro University Nevada is a non-profit institution which was established to address critical needs in health care education and act as a resource for community service. The university pursued adding solar energy to its portfolio which would reduce electricity costs and demonstrate clean energy leadership. Touro University Nevada is a non-profit institution which was established to address critical needs in health care education and act as a resource for community service. The university investigated adding solar energy to its portfolio which would reduce electricity costs, reduce the utility energy imported and save money on a facility switchgear upgrade. Because of Touro University Nevada’s non-profit status, they could not use federal Investment Tax Credits and accelerated depreciation benefits which were required to make the project financially viable. Stokes and Syncarpha Capital partnered and developed a financial and technical solution. The completed system is comprised of a 1,112 kW net metered distributed generation commercial rooftop solar photovoltaic system. The solar modules are mounted on a non-penetrating rooftop mounting system with slip sheets which protect the rooftop warranty. The solar rooftop system will reduce the campus electricity needs from the utility grid by approximately 60% and will generate a net cost savings each year. The Meadow Glen solar facility produces solar electricity for Saint Michael's College in Middlebury, Vermont. This virtual net metering facility produces offsite clean solar electricity. The university pursued adding solar energy to its portfolio which would reduce operating expenses and help deploy clean energy in Vermont. Saint Michaels College is a private Catholic college of approximately 2000 undergraduate students located in Colchester, VT. The scenic 440-acre campus just outside of Burlington, Vermont was not the ideal location for a solar array. The college was interested in adding solar energy to its energy mix because it would save money while simultaneously adding clean energy to the community. The college could not utilize federal Investment Tax Credits and accelerated depreciation benefits which were required to make the project financially viable. Syncarpha Capital created a solution and became the lead developer and owner, while Stokes Vannoy participated as a minority investor. The completed system is comprised of a 734 kW virtual net metered distributed generation ground mount solar photovoltaic system. Local honey bees are housed inside the site perimeter for a dual-purpose site use. The solar array produces approximately 12% of the college's annual electrical energy.